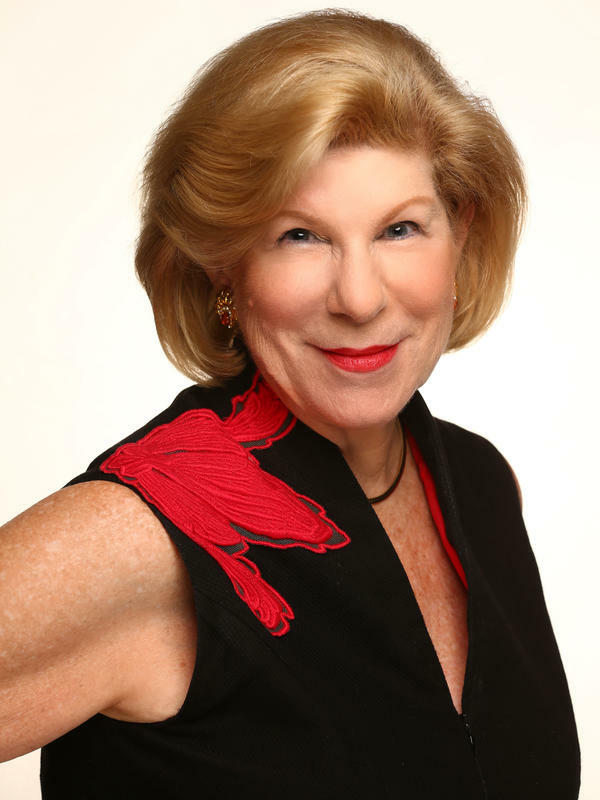 Nina Totenberg is NPR's award-winning legal affairs correspondent. Her reports air regularly on NPR's critically acclaimed newsmagazines All Things Considered, Morning Edition, and Weekend Edition. Totenberg's coverage of the Supreme Court and legal affairs has won her widespread recognition. She is often featured in documentaries — most recently RBG — that deal with issues before the court. As Newsweek put it, "The mainstays [of NPR] are Morning Edition and All Things Considered. But the creme de la creme is Nina Totenberg." In 1991, her ground-breaking report about University of Oklahoma Law Professor Anita Hill's allegations of sexual harassment by Judge Clarence Thomas led the Senate Judiciary Committee to re-open Thomas's Supreme Court confirmation hearings to consider Hill's charges. NPR received the prestigious George Foster Peabody Award for its gavel-to-gavel coverage — anchored by Totenberg — of both the original hearings and the inquiry into Anita Hill's allegations, and for Totenberg's reports and exclusive interview with Hill. That same coverage earned Totenberg additional awards, including the Long Island University George Polk Award for excellence in journalism; the Sigma Delta Chi Award from the Society of Professional Journalists for investigative reporting; the Carr Van Anda Award from the Scripps School of Journalism; and the prestigious Joan S. Barone Award for excellence in Washington-based national affairs/public policy reporting, which also acknowledged her coverage of Justice Thurgood Marshall's retirement. Totenberg was named Broadcaster of the Year and honored with the 1998 Sol Taishoff Award for Excellence in Broadcasting from the National Press Foundation. She is the first radio journalist to receive the award. She is also the recipient of the American Judicature Society's first-ever award honoring a career body of work in the field of journalism and the law. In 1988, Totenberg won the Alfred I. duPont-Columbia University Silver Baton for her coverage of Supreme Court nominations. The jurors of the award stated, "Ms. Totenberg broke the story of Judge (Douglas) Ginsburg's use of marijuana, raising issues of changing social values and credibility with careful perspective under deadline pressure." Totenberg has been honored seven times by the American Bar Association for continued excellence in legal reporting and has received more than two dozen honorary degrees. On a lighter note, in 1992 and 1988 Esquire magazine named her one of the "Women We Love". A frequent contributor on TV shows, she has also written for major newspapers and periodicals — among them, The New York Times Magazine, The Harvard Law Review, The Christian Science Monitor, and New York Magazine, and others. 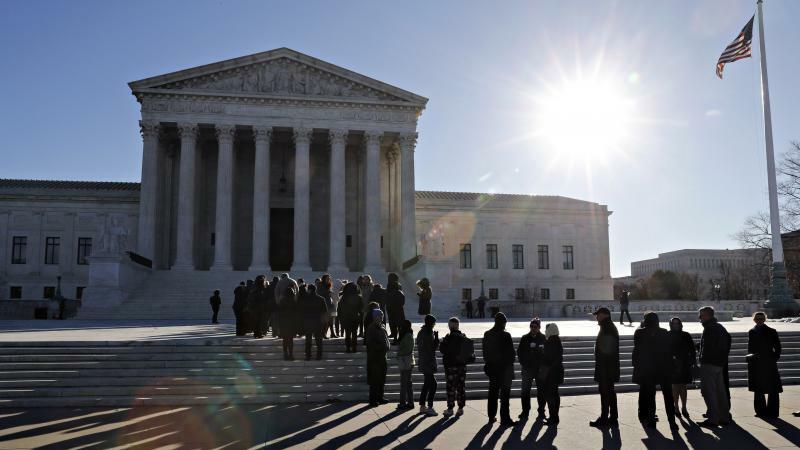 The U.S. Supreme Court is set to hear oral arguments Tuesday in a legal battle with lasting implications that could dramatically affect political representation and federal funding over the next decade. 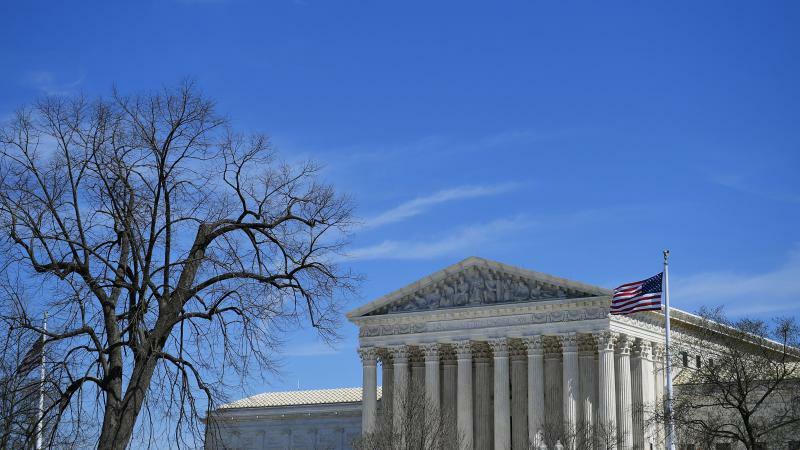 The justices are weighing whether to allow the Trump administration to add a question about U.S. citizenship status to forms for the upcoming 2020 census. Dirty words make it to the U.S. Supreme Court only occasionally. 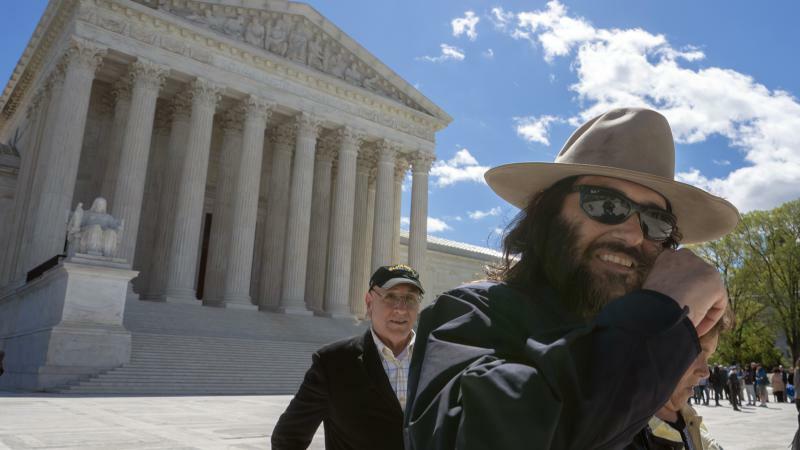 One of those occasions came Monday, in a case involving a clothing line named "FUCT." Two Supreme Court decisions just hours before a scheduled execution. Two decisions just seven weeks apart. Two decisions on the same issue. Except that in one, a Muslim was put to death without his imam allowed with him in the execution chamber, and in the other, a Buddhist's execution was temporarily halted because his Buddhist minister was denied the same right. The two apparently conflicting decisions are so puzzling that even the lawyers are scratching their heads and offering explanations that they candidly admit are only speculative. The Supreme Court appeared sharply divided on the question of whether there's any limit on what the courts can impose on partisan redistricting, also known as gerrymandering, with Justice Brett Kavanaugh, the newest member of the court, appearing at least somewhat conflicted. 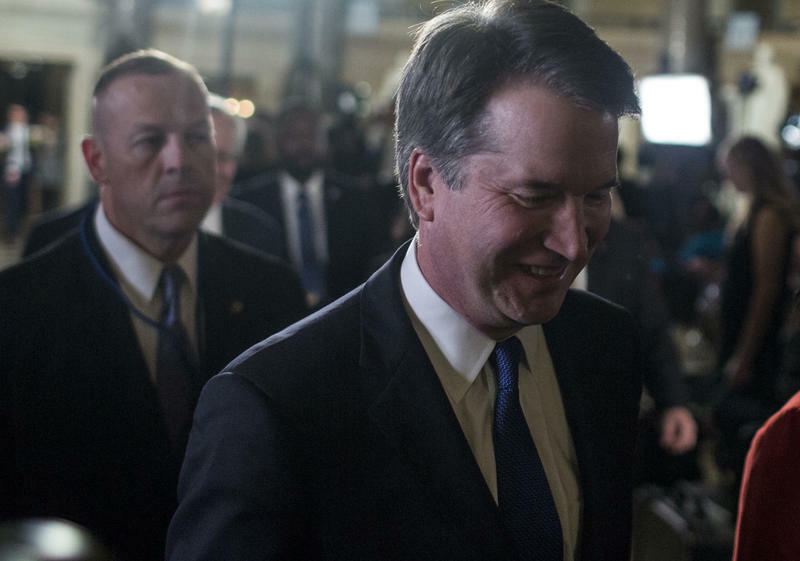 "I took some of your argument in the briefs and the amicus briefs to be that extreme partisan gerrymandering is a real problem for our democracy," Kavanaugh told the lawyers arguing the case, "and I'm not going to dispute that." 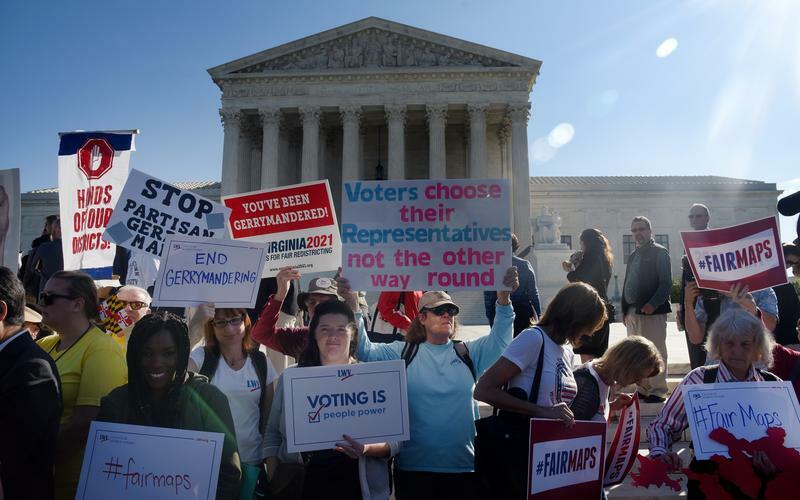 Partisan gerrymandering is back at the U.S. Supreme Court. A year and a pivotal justice's retirement after the high court dodged the question, those seeking to break the political stranglehold over legislative redistricting are urging the justices to draw a line beyond which the Republican and Democratic parties cannot go in entrenching their political power, sometimes for decades at a time. There have been 44 presidents in the nation's history, but just 17 chief justices. Some of the men who presided over the U.S. Supreme Court were enormously influential. Others, not. 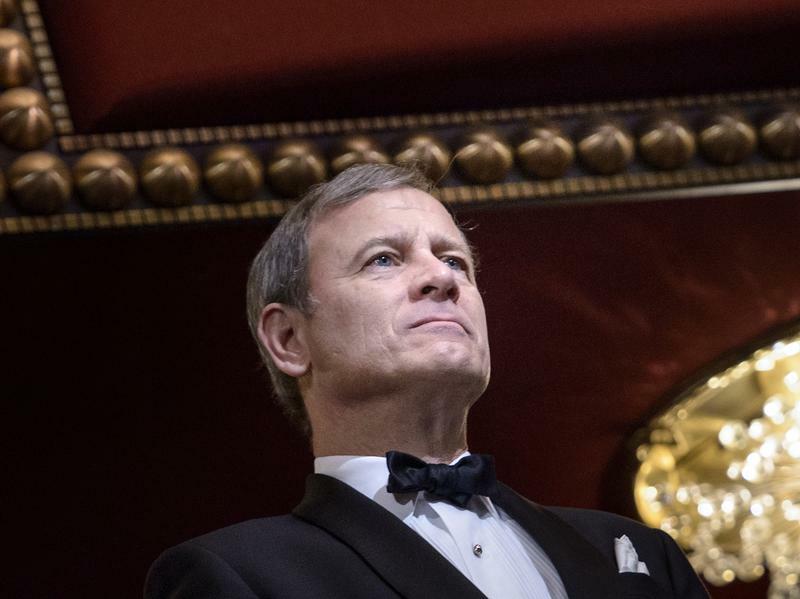 The chief justice today, John G. Roberts Jr., has already served for 14 years and, at age 64, he could well serve for another 20. 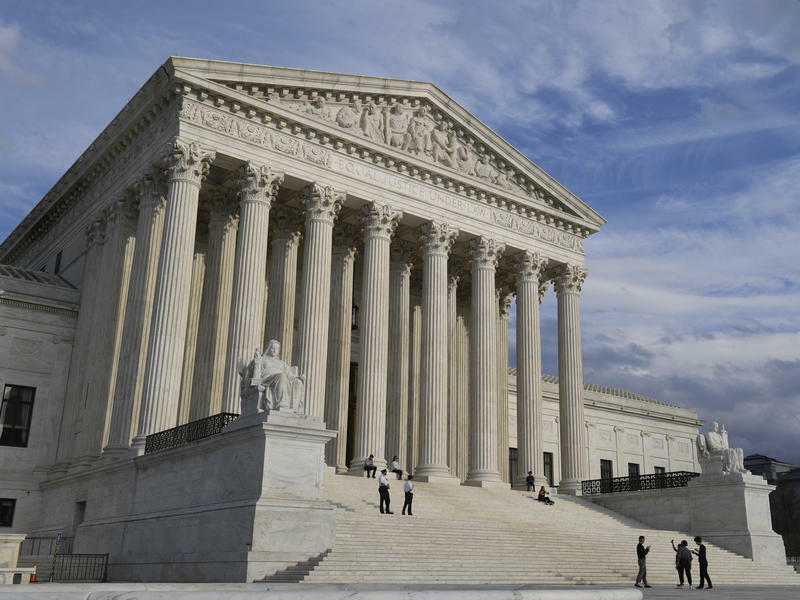 The U.S. Supreme Court signaled strongly on Wednesday that it is likely to rule for a death row inmate in Mississippi who was prosecuted six times for the same crime by a prosecutor with a history of racial bias in jury selection. 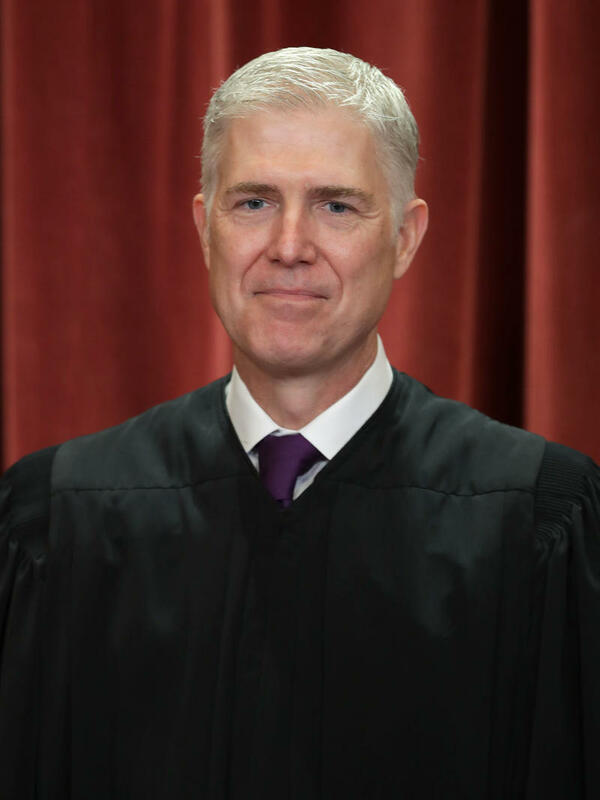 The arguments, more passionate and fact-filled than usual, also had a surprise ending when Justice Clarence Thomas posed a question — the first time in three years. 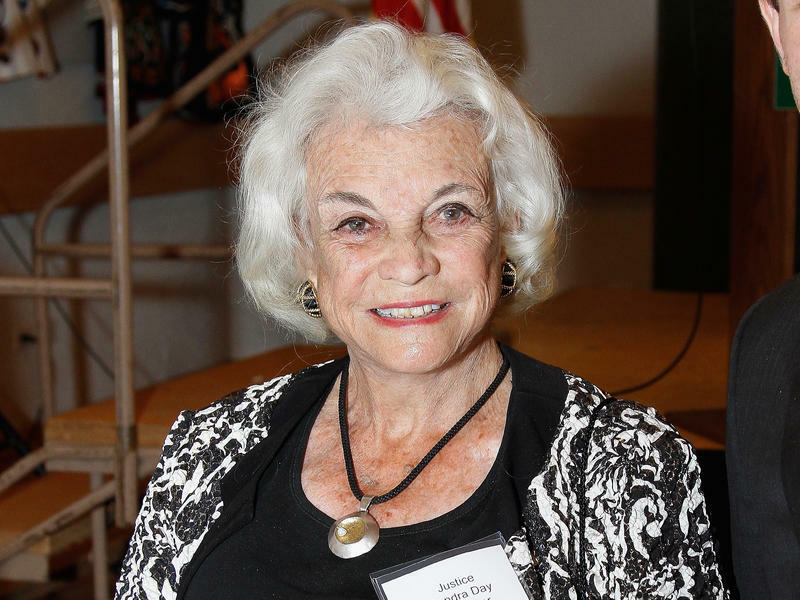 Late last year, retired Supreme Court Justice Sandra Day O'Connor issued a statement announcing that she had been diagnosed with Alzheimer's disease. It was a poignant moment, a reminder that for decades O'Connor was seen as the most powerful woman in America. 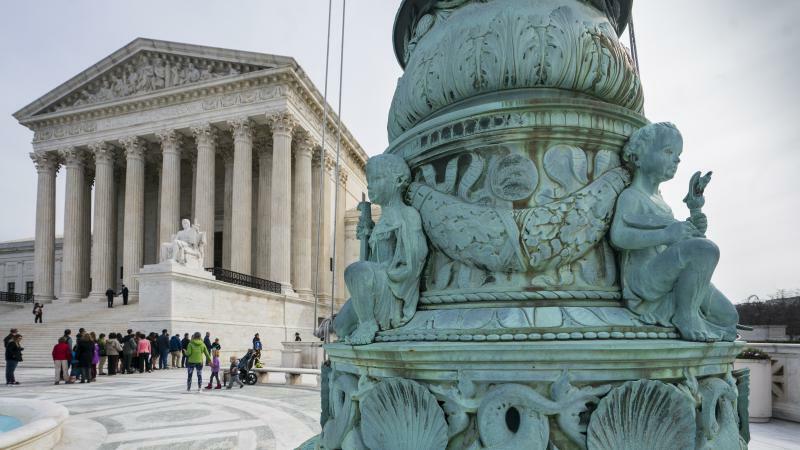 The U.S. Supreme Court let a ruling stand Monday from the New Jersey Supreme Court ruling that said Morris County, N.J., may not give taxpayer funds to help preserve religious buildings, such as synagogues, temples, churches and mosques. The county has a program for giving preservation funds for all local buildings. But New Jersey law, as recently interpreted by the state Supreme Court, prohibits counties from awarding grants to preserve religious buildings. 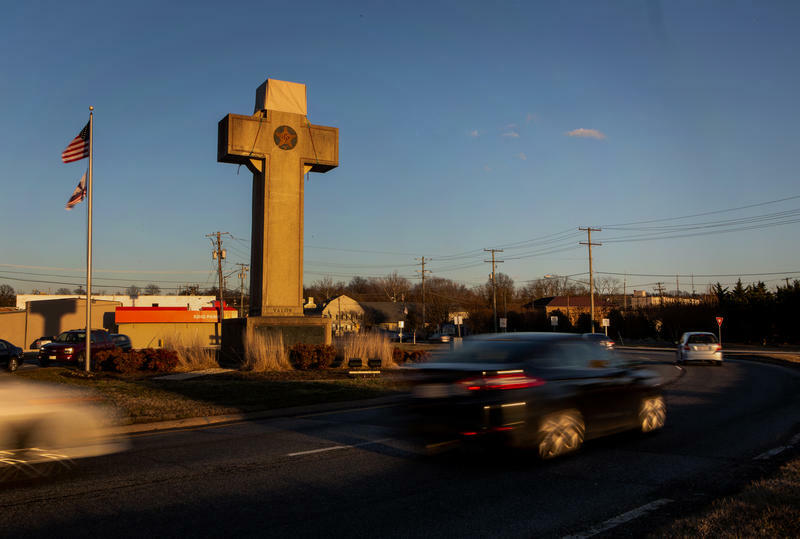 The U.S. Supreme Court appeared ready to let stand a 40-foot cross on public land in Maryland, but the justices struggled Wednesday to come up with a test to clarify the separation of church and state in this country. Over the past half-century, the court has used a variety of tests — is the purpose of the contested symbol or program religious or not? Does it entangle government with religion? Does the government's action appear to endorse religion? 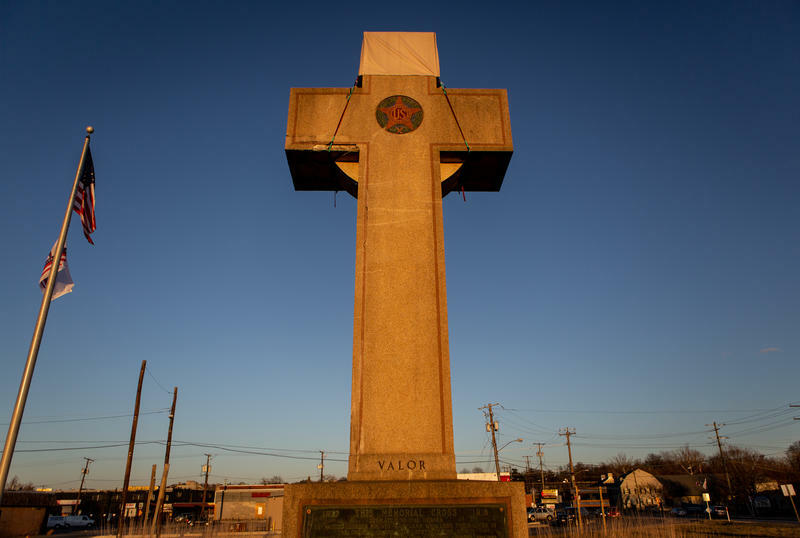 A giant concrete cross standing in the middle of a busy median strip is the latest symbol of a constitutional fight that has raged for decades. It's a fight over the concept of the separation of church and state and what the Founding Fathers meant when they wrote into the First Amendment a ban on government "establishment" of religion.